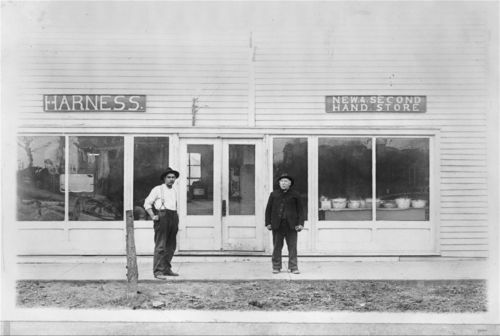 This photograph shows a harness shop and a second hand store in De Soto, Kansas. De Soto was founded in 1857 and located in Johnson County on the south bank of the Kansas River and along the Atchison, Topeka, and Santa Fe Railroad. The town is named after the Spanish explorer Hernando de Soto.